The annual Burns Night is just around the corner, on 28 January, at the Palffy Palac restaurant. We are delighted to say we are nearly sold out, please get back to us ASAP if you would like to attend. The cost is 1600 CZK per person. We are delighted to welcome back Glenfiddich as a sponsor this year, and we will be sampling some very good single malt whisky during the evening! Our charity auction looks fantastic as well, with the usual mature single malt whiskies from Glenfiddich and others; however our star prize of the evening will be a week stay in a Scottish Castle! 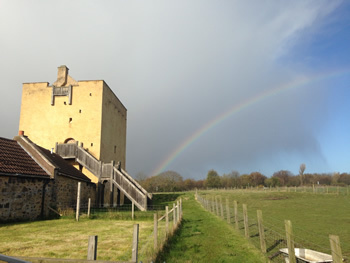 Thanks to Castles of Scotland Preservation Trust & Kenneth Ferguson for this stunning prize! See the web site for details: http://www.burnsnightprague.com/Auction.html and if you have any items to donate, please contact us.